Duolingo app is using a sans-serif (gothic) font for showing hiragana now. It feels clean and modern, but it may not be the best choice for a beginner. 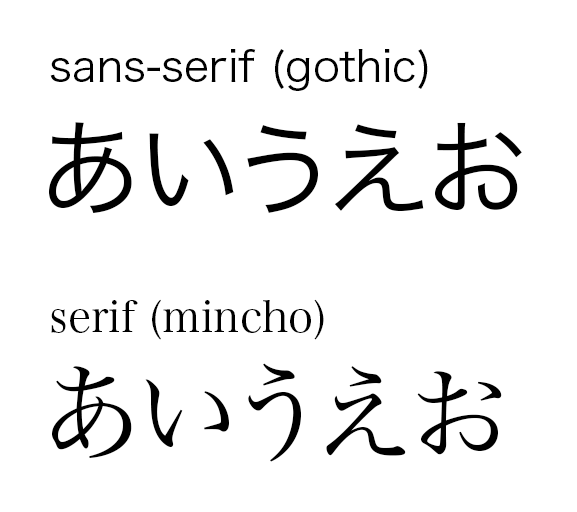 Instead, if it's using a serif (mincho) font, it would also show how a hiragana is written. As you can see, serif (mincho) can show how a character is written, also known as the order of strokes (笔顺 in Chinese), which is very important in CJK writing systems. Disclaimer: I'm a native speaker of Chinese, a long time Duolingo user, recently I'm picking up Japanese in Duolingo. Good idea! Gothic is very modern and cute, but a bit confuse with hand-writing. However, I think Kyokashotai(教科書体) is better than Mincho if we focus on writing, especial with Kanji(漢字). What font is used for Japanese course? The Japanese reverse tree now requires typing after crown level 3 in app version.